A strong and unified social media presence is an important part of any modern business’ digital strategy. Unless you’re a digital marketing pro, you may be unclear where to begin when it comes to creating a comprehensive and aligned social strategy. In this week’s blog, we’ll discuss the social media audit, which can diagnose any problematic or disjointed areas across all of your social channels and help you create a plan of attack to fix them. As part of a comprehensive online strategy, your social media channels are an undeniably important part of your business’ brand. In the digital world, there are three types of media channels: owned, paid and earned. Your business’ social channels are typically considered “owned” media, because you control the content that’s released through them. 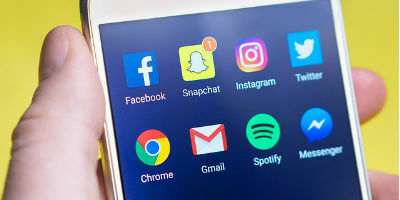 If you’ve ever participated in any paid social campaigns, you’ll need to ensure that those campaigns are also included in your audit. For the purposes of this blog, we’ll talk about metrics that relate to Twitter, Facebook and LinkedIn, though the basic principles relate to most other channels as well. One of the first steps in your audit is to analyze how uniform your brand is across all social channels. You want to identify what name, address, contact info and “handle” (your username) are used on each channel and if you’re registered on each as a business or personal account. If this information isn’t exactly the same on each, it should be. 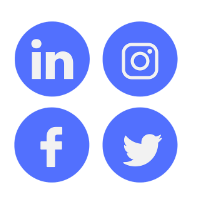 While you may use certain social channels more – Facebook, LinkedIn and Twitter are commonly among the top three business friendly outlets – you will also need to look at any stray accounts you may have forgotten or neglected over the years. Whether you’re using them or not, these accounts are still visible to potential clients online so you’ll need to determine whether you want to start maintaining and monitoring them or delete ones you don’t use. If there are “fake” accounts using your name on a channel, you can contact the network to dispute the account so there’s no confusion when people search for your business online. This is also a great time to take note of any social networks you’d like to explore using in the future. By cross analyzing this information, you can identify which posts have performed the best and received the most positive interactions. You’ll also identify content that may have received minimal or negative interactions – such as negative comments – so you can avoid mimicking this type of content in the future. An even further analysis can show what types of media are successful, and on which channel. Videos, for example, may garner a lot of engagement on your Facebook page, while links to relevant articles may be a huge success on LinkedIn. If your social media audience isn’t what you expected, you can use that information to adjust your content to reach a different target. Additionally, you may identify a segment of readers you hadn’t previously considered who may be worth your marketing efforts. It’s important to create tangible goals for your social media strategy. You can set objectives to improve engagement and to drive clients toward other goals, such as visiting your website. With the right combination of website analytics and social media links, you can measure which clients complete a goal on your site, such as making a purchase or signing up for an email list. Month over month, you can analyze what percentage of readers are completing your goals and adjust your strategy as needed. If you’re engaging in any paid social media ads, you will want to establish measurable goals like these, rather than simply hoping for improved engagement. That way you can compare the value of your monetary and labor investment with the increase in business. A targeted social media strategy allows you to keep in constant contact with existing and potential clients. A social media audit will help measure your existing performance and identify any red flags that require immediate attention. It can also help you better understand your audience, create content for each network and set measurable goals. A digital marketing specialist can help you with a social media audit and other pillars of digital marketing so you can make the most of your interactions with your audience.